Several important rivers and their tributaries have flown through Karnataka. Naturally, the state has built many river dams for serving various purposes including water retention, water supply, flood prevention, generating electricty and navigation. The major dams of Karnataka are Krishna Raja Sagar Dam, Vani Vilasa Sagara Dam, Tungabhadra Dam, Alamatti Dam, Bhadra Dam, Basava Sagara Dam, Raja Lakhmagowda Dam and Supa Dam. 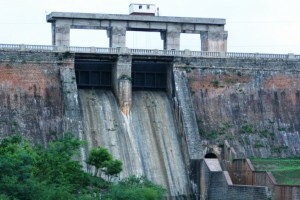 Krishna Raja Sagar Dam is one of the prime tourist attractions of Mysore and it has a lovely ornamental conjoined to it. Kanakanala Dam is a small reservoir built across the river Kanakanala, near Raichur in Karnataka. Read on to know more about the dam, sightseeing and accommodation options nearby the dam.